When customers can make choices in the energy market with their own dollars, the end result is that they are not only more aware of the market, but also able to direct future investment in energy infrastructure. 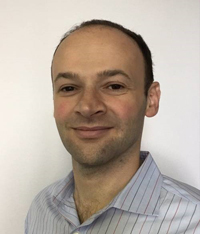 Alexander Goldstein is founder and CEO of Eligo Energy – a technology based energy retailer based in Chicago. He is a serial entrepreneur and investor focused on applications of technology and big data analytics to new industries. Prior to starting Eligo Energy, Alexander co-founded Pangea Properties and Enova International. The viability of Michigan’s deregulation? In the early 2000’s California experienced a series of blackouts that were the result of lack of energy supply. People began blaming deregulation, thinking that utility companies weren’t competing fairly, causing a bubble to burst. From then on, a negative stigma was associated with deregulating causing less states to consider it. Looking back, the root of California’s problem wasn’t just because they chose deregulation, but rather a mix of issues that all contributed to the blackouts, like market manipulation and drought. Comparatively, REP’s today have evolved and have learned from what happened in California. If deregulated markets provide the ability to compete fairly, it avoids any type of regulatory monopoly. With deregulation on the radars of so many successful, small companies, it’s these businesses that are ready for more states to deregulate. To use Eligo Energy as an example, we have slowly expanded into other markets, making sure we have the capacity for each before entering each state’s market. More businesses are doing just that— preparing and understanding the capacity need and projecting their business plans to match that. It’s been suggested that utility companies could be forced to prove 3-5 year capacity in Michigan. Utility companies [should] think this is fair, only if it allows the 10% consumer cap to be higher. If companies are forced to prove their capacities, there could be so much less speculation against their ability to perform. How the ability to choose energy providers does more than just help save money on utility bills, but in turn, helps promote education among consumers about energy consumption. In markets where customers have a choice, customers are more educated about how their choices impact energy consumption and environment. When customers can make choices in the energy market with their own dollars, the end result is that they are not only more aware of the market, but also able to direct future investment in energy infrastructure. Michigan has faced its share of economic troubles in the past several decades, although there have been brief periods of relief. Still, no one could say that the state as a whole is at maximum levels of productivity and prosperity. One of the most important issues Michigan faces in the future is attracting new businesses who want to invest in the state and its economy. Consumers aren’t the only ones who are affected by high electricity costs. Businesses are also impacted by electricity costs, which are rolled into the price of goods and services and therefore indirectly affect consumers again. The Mackinac Center for Public Policy estimates that $700 of the sticker price of a new General Motors vehicle is for electricity costs in production, and quotes the Food Marketing Institute as saying that four percent of grocery store costs are for electricity as well. Why the 10 percent choice for the state’s overall energy policy, either should be in the very least, maintained, or increased.